SMN Power Holding wants to be a responsible corporate citizen. Our CSR policy focuses on local initiatives in the areas of society, environment and economy with sustainability at the heart. In addition to the sun shades installed in November 2017, SMN provided in May 2018 outdoor furniture and refurbished the playground with artificial grass, giving the students additional comfort during their break time. Al Amaal girls’ school is located in Barka and comprises of one thousand students. SMN Power Holding in partnership with Al Batinah Power, Al Suwadi Power and Al Kamil Power jointly signed a Memorandum of Understanding for the project with the Omani Ministry of Education in December 2017. Construction started in July 2018 in collaboration with two Omani entrepreneurs HTC and Solar Hornet, and on 15 November the first power was produced. The rooftop PV system provides up to 82 KWp of electricity through 252 solar panels with a capacity of 325 Wp per unit, which cover approximately 500 m2, and is committed to producing a minimum of 100 MWh per year at normal weather conditions. As a result, it generates a significant portion of the energy consumed by the school. While delivering a sustainable and practical resource for the school itself, the project also allows to educate students bout solar power an clean energy, thus, making an important contribution to the STEM (Science Technology Engineering & Mathematics) education of these girls. Promoting STEM education is a vital component of the Omanization policies put in place by the government to equip young Omani’s with the future skills necessary to compete in the job market. The school has received solar training kits to educate all students about solar PV energy. Two Omani SME’s, HTC represented by Dr. Firas Al Abduwani and Solar Hornet, represented by Eng. Ismail Al Busaidi, joined forces to realize this prestigious project in accordance with strict quality and safety standards, gaining valuable experience and knowledge in the process. 3. To develop young, Omani SME’s in the important sector of renewable energy production for the Sultanate. We are proudly to announce that these three objectives have been achieved. As a continuation of the joint initiative between SMN Power holding and Al Suwadi Power Company, Al Batinah Power Company and Al Kamil Power Company, the Company is developing a new solar PV project at Liwa. The selected school is a new, 18 class basic school for boys (5-10 grade) with expansion plans for the future, located close to the port area. The school construction is almost completed and should be ready for the next school year. The initiative was realized together with Plasbin (‘Ibn Sarhan United Projects LLC’) and Azain Biq Qais international school. SMN employees took part in the beach cleanup with the school’s students and teachers at Seeb beach. 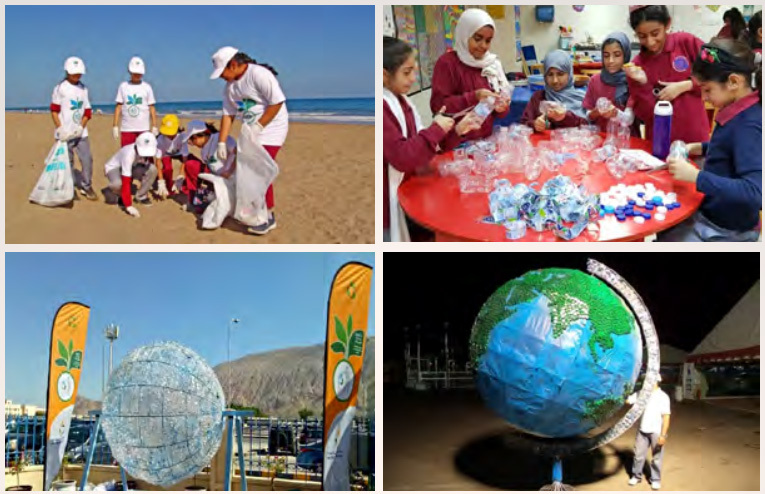 SMN also sponsored a waste recycling awareness campaign consisting of collecting plastic waste material and using it to build a Planet Earth sculpture. The planet sculpture will be displayed outside the school premises and will increase environmental awareness. SMN donated 15 Smart TV screens to Al Thanaa School. Al Thaana is a primary school located in Wilayat Barka with a total number of 880 students. The smart screens will enhance and improve the teaching and learning process. Aquaponics is the combination of aquaculture (raising fish) and hydroponics (the soil-less growing of plants) that grows fish and plants together in one integrated system. The fish waste provides an organic food source for the plants, and the plants naturally filter the water for the fish. In combining both hydroponic and aquaculture systems, aquaponics capitalizes on their benefits, and eliminates the drawbacks of each. Aquaponics is generally considered as the farming technology of the future. It has proven to reduce the water consumption by 90% compared with traditional farming solutions. Students will be trained in aquaponics farming, start producing crops, manage the project financially as well as deal with marketing and administration. SMN is the first private company to sponsor The National Career Guidance Center (Ministry of Education) on an aquaponics project. 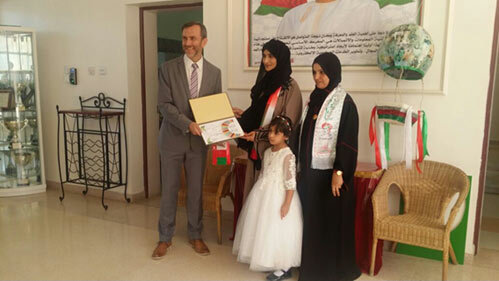 SMN will donate a fully functional Aquaponics farming system, including greenhouse, at Abu Al Dardaa Basic Education School (5-12) in Al-Dhahirah Governorate. SMN believes that health and fitness are key elements for a happy and successful life. SMN sponsored eighteen student athletes to compete in the 2019 Marathon at Oman, thus promoting the importance of sports in a healthy lifestyle. The first project was completed in February at Sultan Qaboos University. The Company sponsored the 12th Chemical engineering gathering (Given the topic “Green chemical engineering”) with the participation of 200 students and around 3,000 guests. Through these activities and platforms, the society members get the opportunity to demonstrate their many different ideas, projects, scientific creativity, researches, and skills to the public. The main areas were protecting the environment and human health through a modified process, design and product management minimizing pollution and environmental risk. The second project was realized in partnership with Plasbin (‘Ibn Sarhan United Projects LLC’). 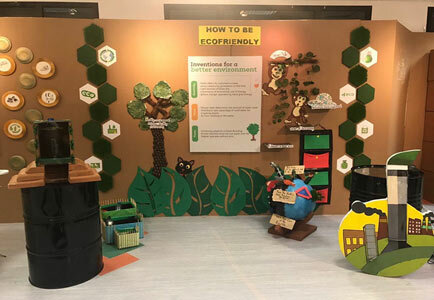 The Company purchased waste recycling bins for the Al Awael school and at the same time, an extensive waste recycling awareness campaign was launched to more than 300 students. The third project was completed in November at Al Amaal girls’ school, teaching around one thousand students in Barka. SMN purchased sun shades for the playground area, giving the students comfort during their break hours. The fourth and main project for 2017 was realized in partnership with 3 sister companies, Al Suwadi Power Company, Al Batinah Power Company and Al Kamil Power Company. Together, we developed a rooftop solar PV project at Hind Bint Usaid school in Rumais. When commissioned in 2018, the project will deliver 82kW clean, renewable power to the school. The project will also raise awareness about the importance of clean energy in Oman and support local SME’s to grow in the renewable energy market. His Excellency/Mustafa Ali Abdullatif, Undersecretary for Administrative and Financial Affairs, Ministry of Education, signed the sponsorship agreement on behalf of the Ministry of Education in the presence of Eng. Saud bin Hareb Al Habsi, Director General of the General Directorate for Projects and Maintenance. In 2016, SMN Power Holding has defined a new CSR policy on Corporate Social Responsibility ('CSR') which was approved by the Board of Directors on 1st August 2016. The Company is committed to implement CSR initiatives with a positive impact on Economic Development, Social Progress, Environmental Protection and Education Development. Our vision is to enhance the future of the people in Oman by promoting and implementing sustainable solutions, unlocking opportunities while protecting the environment. Donation of furniture to Al Rahma Charity Association. A combination of desks, chairs, shelves, sofas were amongst the items provided (around 40 cubic meters) and the items were ultimately donated to low income families. The Company has partnered with Plasbin and Muscat Daily to introduce a recycling campaign at its head office. The recycling activities involve segregating of waste (plastic, glass, metal, paper, general). The Company has encouraged all Companies sharing the same building (E&Y Building) to join this initiative. SMN is very pleased to support a start-up Company in this activity. Plasbin is fully owned by three young Omani entrepreneurs with exceptional passion for their country's environment namely, Rashid Al Habsi, Sarhan Al Habsi and Nasser Al Kindi and in association with Martin Mbuta, the Concept Artist & Designer, conceived the Plasbin initiative to help clear the highly destructive plastic waste from their country's precious environment. As installed at SMN, Plasbin flagship product is an exclusive 5-piece plastic waste collection and recycling unit and a first of its kind in the Sultanate of Oman to feature full waste segregation compartments including Plastic, Paper, Metal, Glass and Trash (General Waste) through which its spearheading a new waste segregation culture in Omani through numerous channels including Plasday, a special Plasbin-in-schools awareness programme. 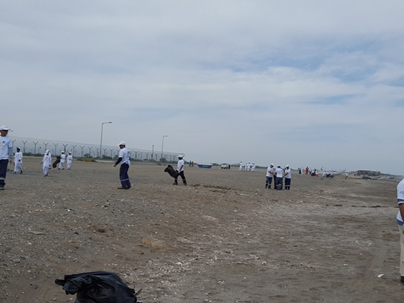 SMN and STOMO employees, together with students, joined forces to clean the beach in front of Barka II and Barka III Power Plants. All participants spent several hours cleaning the beach front. The Company will launch several new initiatives in 2017 and has already identified several interesting projects such as installing solar panels in a school, sponsoring education initiatives, expanding the recycling activities to the plants.